America’s Jewish voters must confront a painful truth: in 2018, Jewish Democrats find themselves in coalition with some of America’s worst Jew haters. While Jew-hatred emanates from many sources, only one of our parties has confronted the anti-Semites within its own ranks. The Republican Party has passed multiple resolutions condemning anti-Semitism. It has even declared that Republicans should vote against any anti-Semites who have maneuvered their way onto the ballot as Republicans. The Democrats, however, appear to be taking the opposite approach. The Democrats have embraced its own Jew haters as Progressive leaders of the future. Today’s Democrats seem to be moving more and more toward extremism and an identity-based politics that automatically casts Jews as villains. Keith Ellison, running to become Minnesota’s Attorney General, is the DNC’s second highest-ranking official. He is also an acolyte of Louis Farrakhan. Farrakhan, who regularly praises Hitler, recently called Jew “termites” – literally channeling Nazi propaganda used to justify Jewish extermination. Yet senior Democrats who would take control of Congress if the Democrats win this election – continue to embrace Farrakhan. This cannot – must not – be tolerated! The leadership of the three most important new Democrat organizations—Black Lives Matter, the Women’s March, and Democratic Socialists of America–also are rabidly anti-Semitic. A majority of Democrats oppose attempts to combat the BDS movement. Every single Democrat in Congress boycotted the historic opening of the new U.S. Embassy in Jerusalem. Numerous 2018 Democratic Congressional candidates boast of their contempt for the “apartheid” “occupier” Israel. 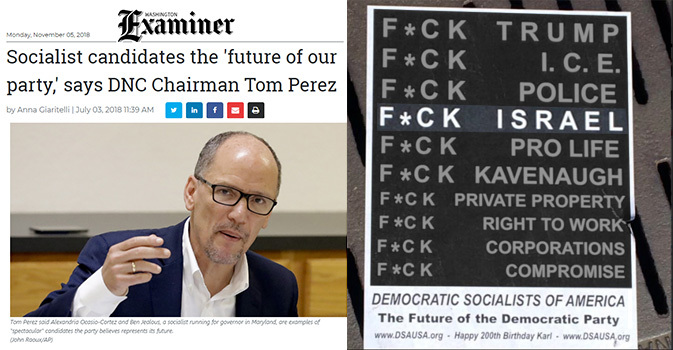 DNC Chair Tom Perez embraces these Jew haters as the future of the Democratic Party. Established Democrat leadership still touted as “pro-Israel” have even threatened Israel that if her leaders or people dare express gratitude for the Trump Administration’s obvious pro–Israel policies, Democrats will openly turn on the Jewish State once back in power. Democrats in state legislatures seek to de–fund, and in some cases to decertify, Jewish schools. Democrats fight against security funding for our schools and synagogues – as though government protecting Jews – who are targeted for being Jews – amounts to a Constitutional problem of establishing religion. 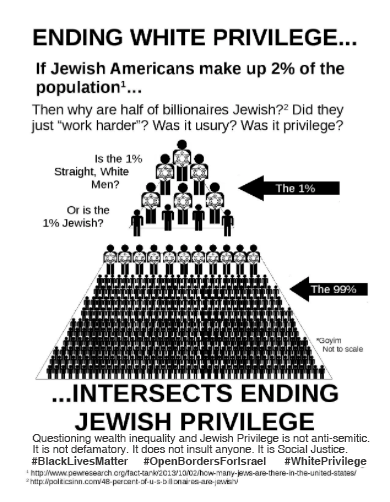 Social Justice Warriors preaching “intersectionality” insist that Jews are the worst of the irredeemable “white oppressor” class. Those are just some top-level bullet points of a deep and profound shift. What they have in common is that they’re all recent. Many of us fondly recall a Democratic party that no longer exists, the party of FDR, Harry Truman, JFK, and Pat Moynihan. Meanwhile, the Democrats ejected the last vestige of such leaders–Joe Lieberman–over a decade ago. He now receives a far warmer reception among Republicans. Democrats gave the anti-Semitic and violent Black Lives Matter the podium at the Democratic National Convention. Each passing week makes it clearer that Jew-hating progressivism is among the unifying, animating features of today’s Democrat Party. 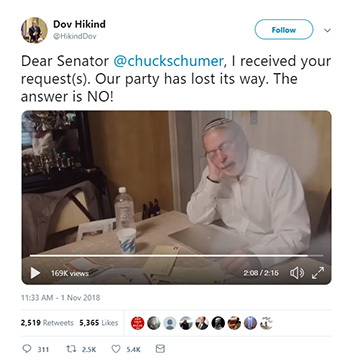 The progressive base is drawing Jew-hatred into the mainstream. Jewish Democrats cannot – must not – meekly continue going along for the ride. That’s a poor choice. A suicidal choice. Jewish voters and donors must show Democrats that they will only support the party if the party supports us. Jew–hatred is real. More than 70% of religious hate crimes in this country are committed against the tiny Jewish minority. The only real issue is how the parties representing huge swaths of the country react. Until now, Republicans have made clear that they will not tolerate it; until now, Democrats are excusing and mainstreaming it. On November 6, America’s Jews have the chance to send a powerful message to all sides: If you don’t support us, we will not support you! 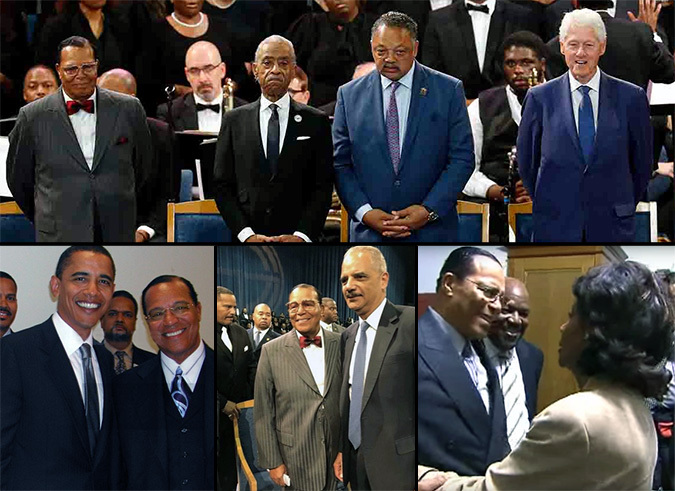 Anti-Semitic hate huckster Louis Farrakhan has become a darling of today’s Democrats. We dare not let them take control of Washington. Parties change. The only way to bring Democrats back is to make sure that this current crop does not gain control in states and in Washington. They cannot be rewarded for promoting anti-Semites or for abandoning Israel.